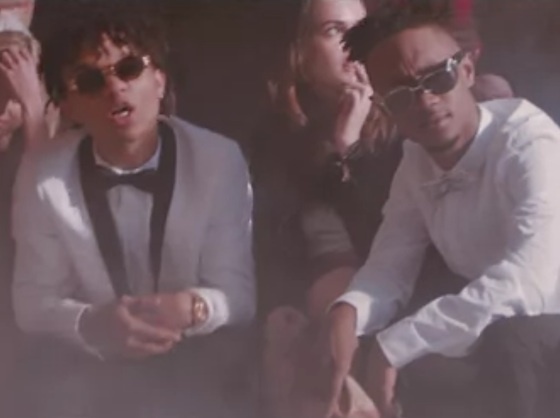 Hyped rap duo Rae Sremmurd will kick off 2015 with their highly anticipated SremmLife LP. The album's already birthed plenty of singles, and today they've shared a video for its latest track "Up Like Trump." The song's another busy, brash anthem with the duo boasting about their lavish lifestyle. It comes with a similarly expensive-looking video that includes plenty of New York City cinematography, shots of the dudes at a fancy party and the two getting hyper in Times Square. There's also a Donald Trump face mask in there for good measure. Watch the clip for "Up Like Trump" below. SremmLife arrives on January 6 via EarDrummers/Interscope.